The Athens’ Acropolis dominates the city’s skyline. Here, you can see the place where neoclassical style came to existence. Behold the Parthenon, the monumental entrance Propylaia and Erechtheon with Caryatids. Named after Alexander the Great’s half-sister, this amazing city boasts many historic places. The remains of a Roman arch, the dominating fortress and the UNESCO Vlatadon Monastery are some. Finally, take a walk along the Europe’s longest seafront promenade or enjoy a ride in a carriage. 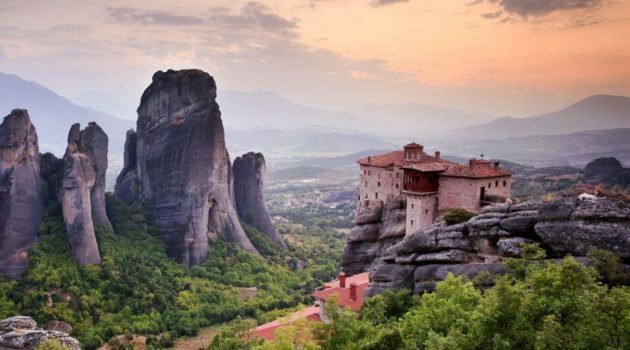 The Monastic Community of Athos, Halkidiki, offers a great experience. Albeit only males can set foot there, you can take a cruise and admire the peninsula. A journey by Babasails’ boat reveals gorgeous monasteries and those at the tops of high cliffs. Several hours by car away from Athos is another monastic republic. 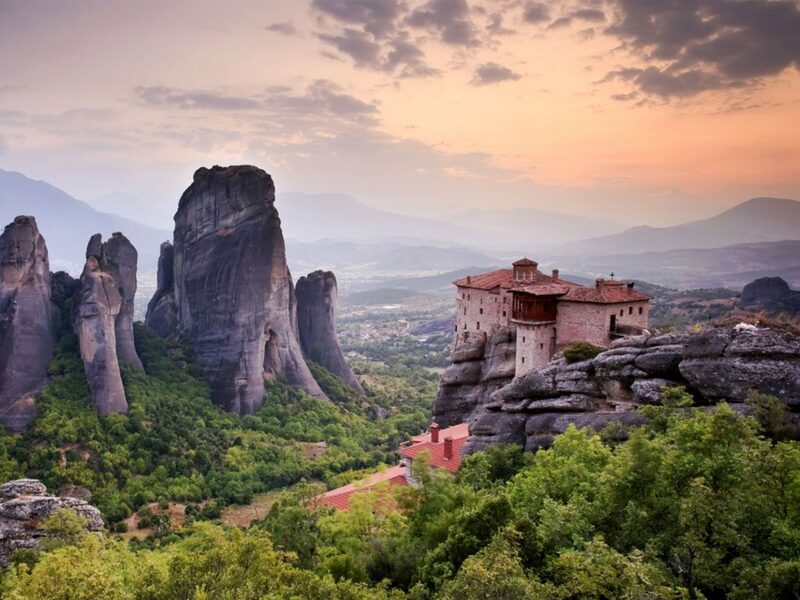 Take your time to climb high cliffs to reach monasteries. Some of these occupy the tops of narrow cliffs. But, they all offer spectacular views from vantage points. Set in a mountainous region, the Delphi Oracle was the center of the world once. Today, the site features temples dedicated to Athena and Apollo. Sanctuaries to some other Greek deities are present, as well. Alongside Delphi, Epidaurus was the most visited sanctuary in ancient Greece. Today, this popular site is famous for its theatre, which boasts excellent acoustics. The greenest Ionian island will enchant you. Its capital city boasts Venetian architecture and two massive fortresses. Continue sightseeing to Paleokastritsa monastery and beaches for a great experience. Gifted with amazing beaches and nature, Sithonia is a paradise on earth. The central peninsula of Halkidiki is great for sightseeing by car and by boat. The Sporades consist of three very different and very beautiful islands. Take a cruise around Skiathos, Skopelos and Allonisos with Babasails. You will discover isolated beaches, lush vegetation and beautiful architecture. This beach of Zakynthos advertises Greek tourism around the world. A shipwreck on a sandy beach surrounded by high cliffs sounds familiar, right? Navagio is among the most photographed beaches around the world.